I am a sucker for new beauty products — I love to try them all, experiment with different techniques and applications, and most importantly, scour for any fountain-of-youth miracle products. This toner is gentle enough for my uber sensitive skin, and leaves my face feeling refreshed without stripped of moisture and nutrients. It also delivers a punch of antioxidants which helps defend my skin against free radicals during the day. I use it in the morning after I get out of the shower before I apply my SPF/moisturizer, and also before bed before I apply my serum and PM moisturizer. This serum is worth its weight in gold. This one product has probably made the biggest difference in the surface and brightness of my skin since I first started using it. Both firming and brightening, I apply this right before bed after the Renee Rouleau toner. I let it absorb for a minute or two, and then apply a rich moisturizing night cream. This is a no-rinse makeup remover that you can use all over your face, or even around your gentle eye area. 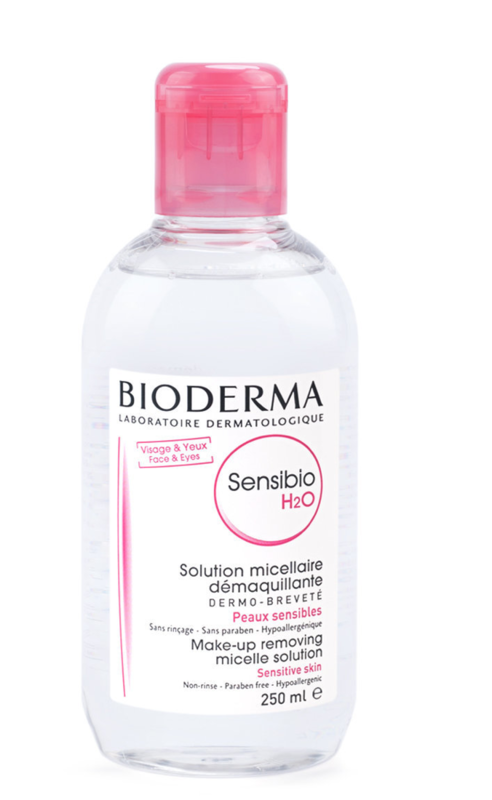 Especially formulated for sensitive skin, it is the world’s first micellar water which helps restore the skin’s natural surface. Bioderm’s website even claims that one bottle of this stuff is sold around the world every 5 seconds. Pretty impressive! This might need some explanation. What is this, exactly? The glow boosting drops mix into your foundation to illuminate your face in an incredible way. With a damp beauty blender — or your fingers work just fine too! — I apply the foundation/Lumi mixture to my face as I would with my regular foundation. The result is a makeup application that is dewy and glowing. The drops also tend to blur imperfections so I find that I often need less foundation when I mix in the Lumi drops. This foundation is my favorite foundation I have ever owned. Although it’s called a foundation, it really feels more like a tinted moisturizer on your face but with the added benefit of more coverage. This stuff really is the perfect balance between light and flexible while still disguising flaws and discoloration. But you won’t be left feeling like your skin is hiding under makeup all day. This is the foundation that I mix with the Lumi glow drops and they work so, so well together. Although I love this foundation even when it’s on its own. The color that I use is Shade 4 (Fair).